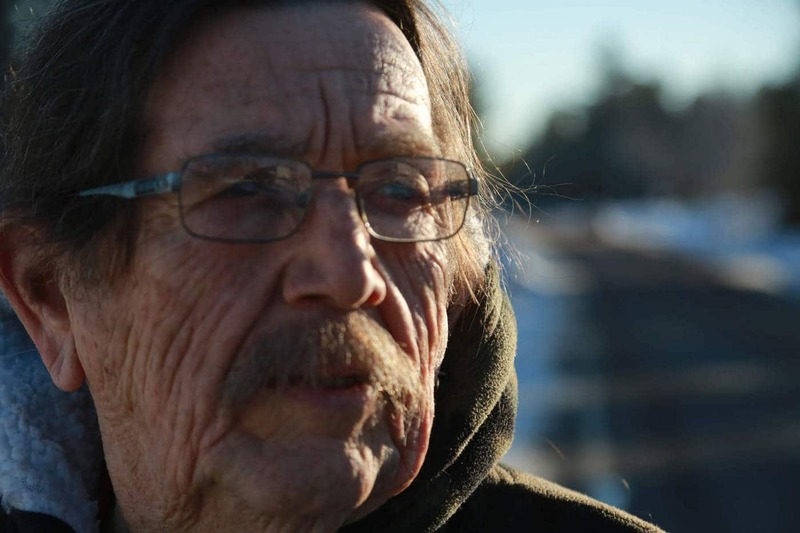 Kenneth Francis knew about the smoke billowing from the Rexton blockade in eastern New Brunswick, the RCMP cars set ablaze, elders pepper-sprayed and protesters hauled away in handcuffs. 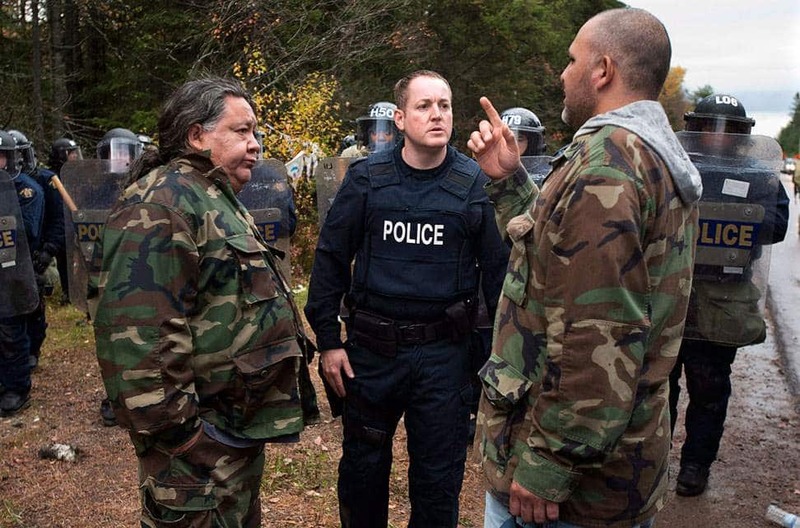 When Francis learned the police had slapped restraints on Elsipogtog Chief Arren Sock, he knew something else: the next big fight for the Mi’kmaq would not be at the roadside. 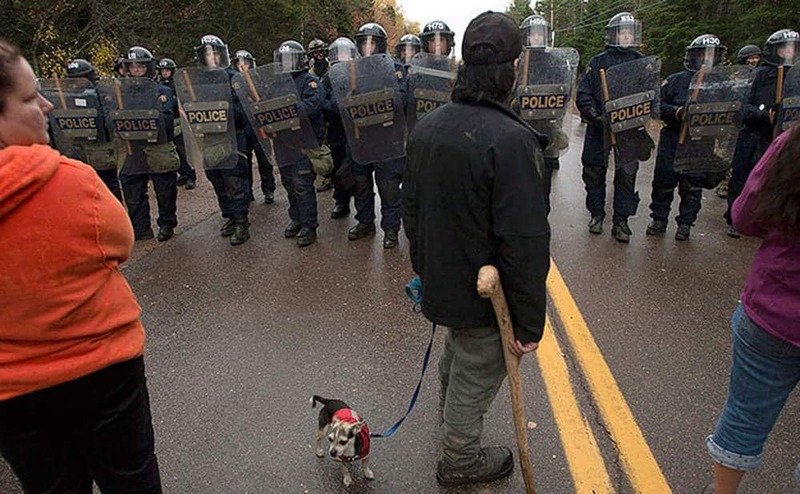 Francis and the Elsipogtog First Nation would have to go to court. The legal assertion of Aboriginal title — title the Mi’kmaq First Nation believes it never relinquished — began taking shape that day. “We never really used to take ourselves seriously,” Francis said as he wandered recently around the stretch of highway once crowded with protesters, about 14 kilometres from the Elsipogtog reserve in eastern New Brunswick. It was the summer of 2013, and Texas-based SWN Resources was testing the viability of a shale gas industry in New Brunswick. Hydraulic fracturing, or fracking, fires a pressurized mixture of sand, water and chemicals into the shale bed to break loose the gas embedded in the rock kilometres underground. 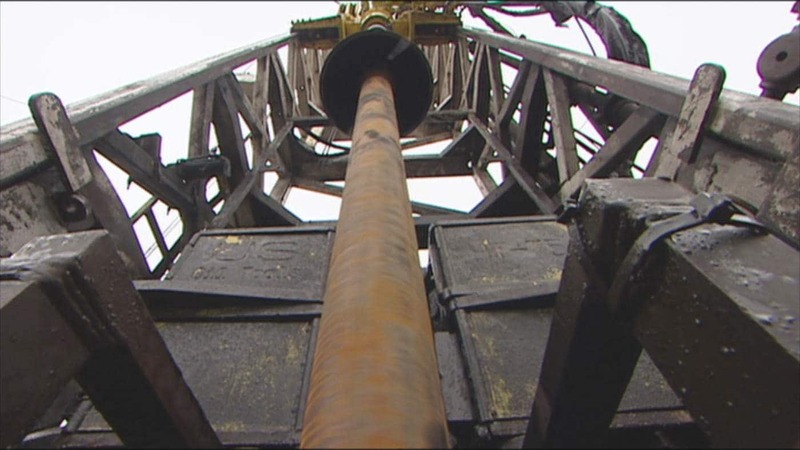 Opponents, including many Mi’kmaq, feared fracking would contaminate land and groundwater. There were protests throughout the summer and into the fall. For two weeks, Indigenous people and others gathered on Route 134 in a blockade that was smashed in mid-October by the Mounties. By then, the protests had changed community members. 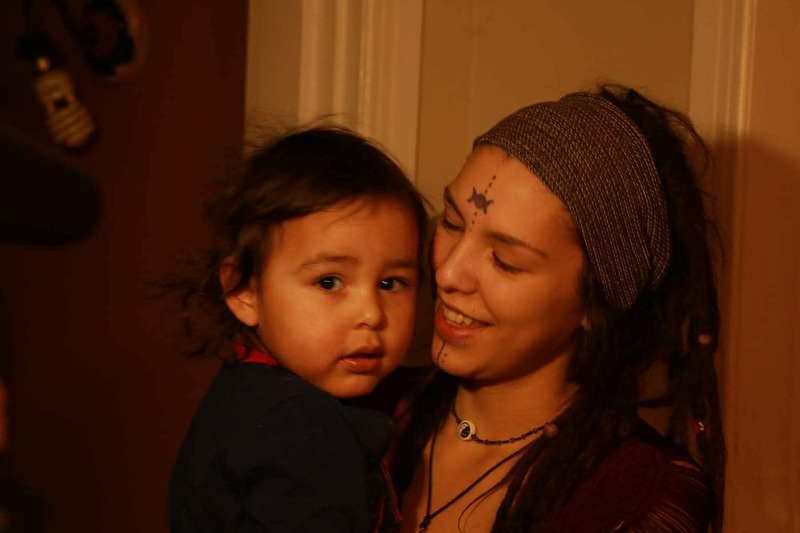 Until she joined the Mi'kmaq on the highway, Raven Arsenault-Augustine, a young mother of one, had struggled in school and within the Elsipogtog community. “When I started going to the protest, I did start to come into myself and started to discover my own spirituality." That spirituality, said Arsenault-Augustine, comes with an abiding commitment to protect the land for generations to come, just as her ancestors tried to protect the land for her generation. A year after the Rexton blockade, a new government in Fredericton imposed a moratorium on fracking. But Elsipogtog members kept thinking the province had failed in its duty to consult First Nations in a meaningful way about the testing. In Francis’s view, the province had a record of not properly consulting First Nations about any resource development. Inspired by a recent court victory for First Nations on the other side of Canada, Francis and Elsipogtog leaders continued to explore a new path. Last November, Elsipogtog filed for Aboriginal title over nearly one-third of New Brunswick — both Crown and private lands — on behalf of all Mi’kmaq in the province. Aboriginal title would be the legal recognition that Indigenous peoples in the area have a right to decide what will happen with the land and a right to benefit from it. More practically, it would mean a forced seat at the table for the Mi’kmaq when decisions are made about resource development. In the case of the SWN testing, the project would have needed the consent of the Mi’kmaq before going ahead. 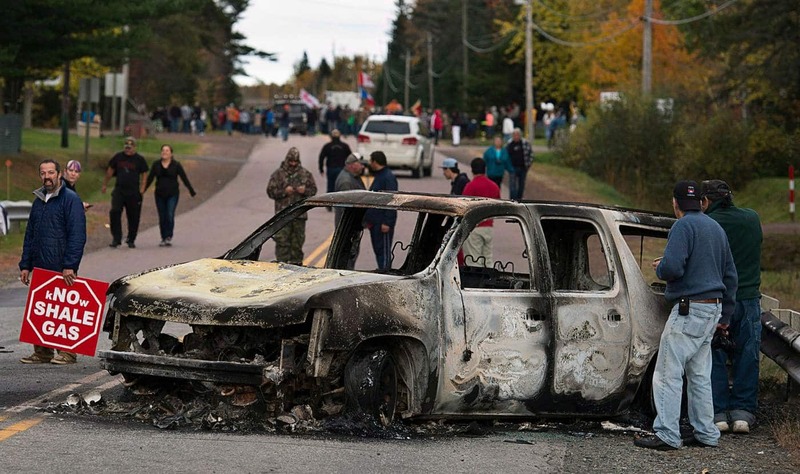 Francis, a plaintiff along with Chief Sock in the action filed with the New Brunswick Court of Queen’s Bench, said the day the Rexton protest erupted in flames and 40 arrests was the turning point. “I always knew it in my head that we own the land and something can be done about it, but I never felt it here,” Francis, who is in his early 70s, said before pressing his hand to his heart. For thousands of years, the Mi’kmaq people lived across a territory called Mi’kma’ki, stretching from the Gaspé of Quebec, down through eastern New Brunswick, P.E.I. and Nova Scotia. Much like the rivers they used as highways, the Mi’kmaq would cut through Mi’kma’ki in an existence shaped by the seasons, surviving on what the Earth provided and respecting the Earth in return. In spring and summer, many Mi’kmaq settled near the coast. 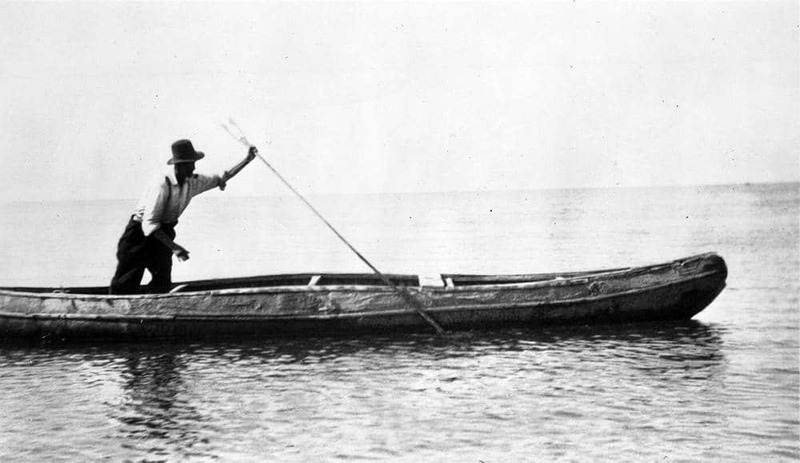 They would harvest grains and berries, fish for cod, salmon and other bounty, dig holes in the beaches to trap lobster and clams as the tides receded. 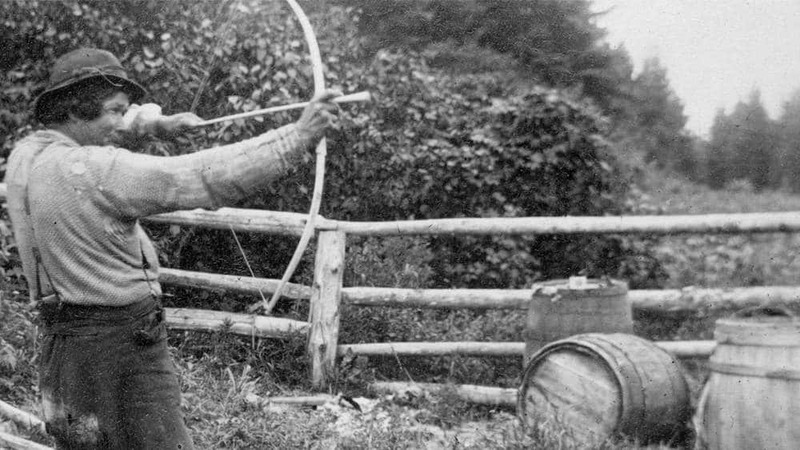 When winter loomed, the Mi’kmaq would push inland, smoking fish, hunting caribou and moose, building wigwams for shelter out of spruce poles and birchbark. Mi’kma’ki is made up of six districts, and the ancestors of Elsipogtog members lived in the largest one, Sikniktuk, covering what are now Westmorland, Albert and Kent counties and parts of Kings, Queens and Northumberland. After Europeans touched the East Coast in the 16th century and even as the French, then the British and Loyalists permeated the Indigenous way of life in the 17th and 18th centuries, the Mi’kmaq people continued to dominate Sikniktuk, Francis said. In 1761, a treaty of peace and friendship confirmed the existence of the Mi'kmaq Nation's Aboriginal title, says the claim filed with the court, although in what became New Brunswick, this recognition was ignored early and often. Essentially, the Crown, either by itself or through the third parties it enabled, did what it wanted with the land, water and resources. But more than 250 years after the treaty, and more than 200 years after their physical world shrank to the size of their reserves, the Mi’kmaq are still unwavering in their conviction they never surrendered title over Sikniktuk. 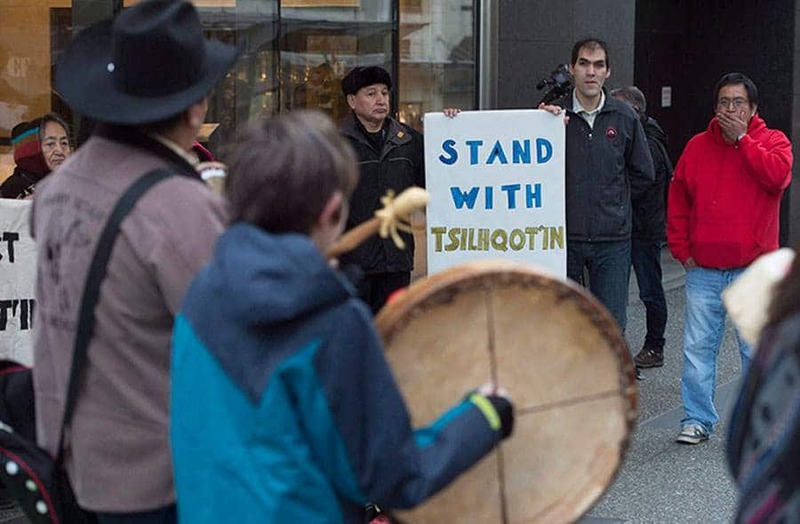 This conviction was reinforced in 2014, when the Supreme Court of Canada ruled that the six nations that make up the Tsilhqot'in in central British Columbia had Aboriginal title over 1,700 square kilometres near Williams Lake. The court agreed the semi-nomadic nation had used the land regularly and exclusively and had effective control of it at the time of European sovereignty — all necessary to assert title. 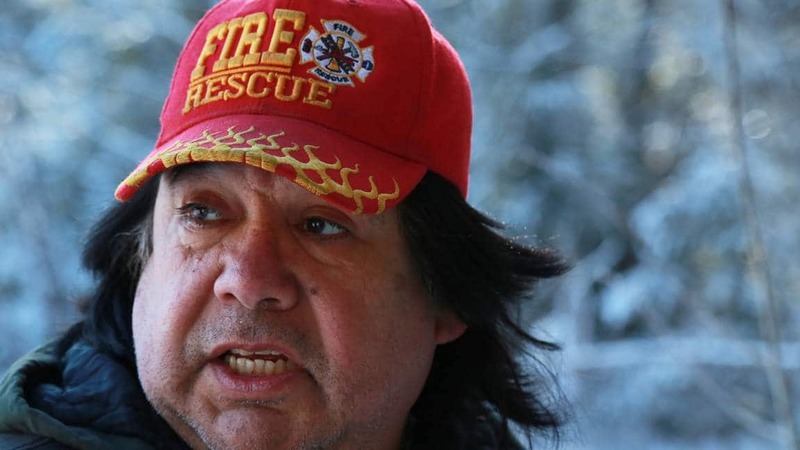 In New Brunswick, Francis and the Kopit Lodge, a group appointed by the Elsipogtog chief and council to deal with resource development, sought legal advice about their own case for Aboriginal title. They found lawyer Bruce McIvor of First Peoples Law in Vancouver, who drew up the statement of claim. 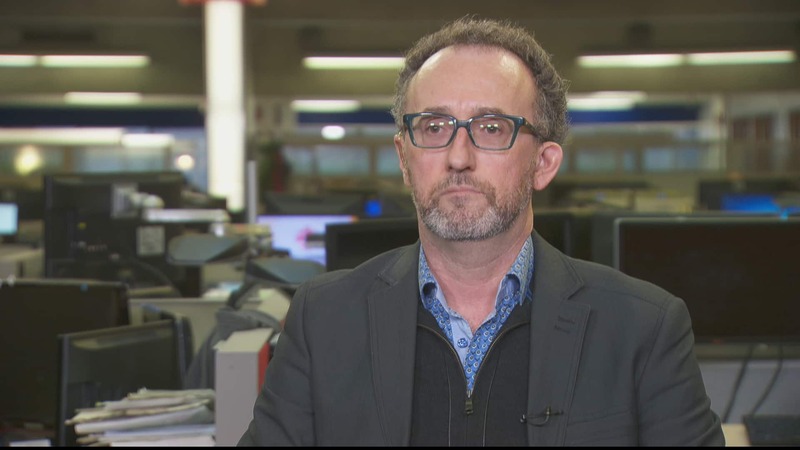 The Mi’kmaq case is different from Tsilhqot’in, McIvor said, because the B.C. nation dealt with Crown land only. But the ruling reflects a belief important to the Mi’kmaq — that decisions made about the land today should be weighed for their effect on the land tomorrow. The Tsilhqot’in ruling emphasized that Aboriginal title is “a collective title,” held for the present generation and those that follow. “Nor can the land be developed or misused in a way that would substantially deprive future generations of the benefit of the land,” the court said. Unresolved land issues are changing the way Indigenous and non-Indigenous people interact, MacIvor said. “This is the great outstanding and unresolved issue in Canada — the fact that there are not simply two founding nations,” he said. “Indigenous people were here first. For Francis and the Elsipogtog community, the title claim is about protecting the environment from further degradation and ensuring the Mi’kmaq people can benefit from use of the land. The goal is not to take over private land, he said. The provincial and federal governments won’t comment on the case, but both have filed statements of defence that question the Mi’kmaq assertions and whether Kenneth Francis and Arren Sock represent the Mi’kmaq people. 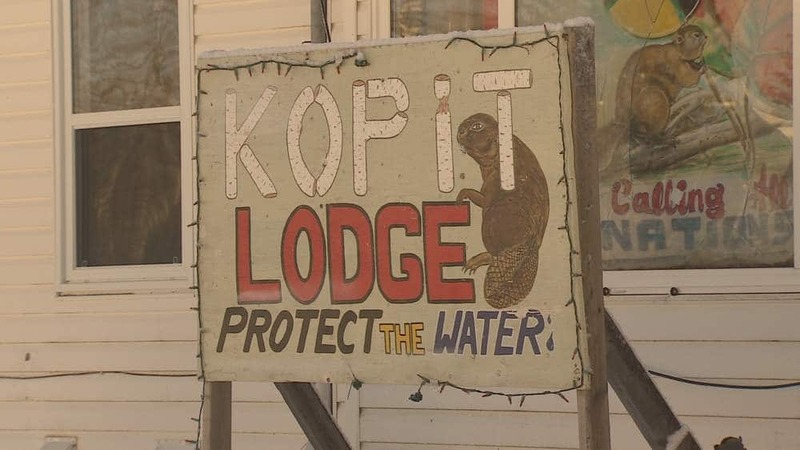 Kopit Lodge has been told the legal challenge could cost $8 million, which it is raising in a variety of ways with help from supporters such as the New Brunswick Anti-Shale Gas Alliance. The Tsilhqot'in case took 20 years, and the history of the Tsilhqot'in’s’ use of the land was central in the trial judge’s decision. Kopit Lodge enlisted Augustine to lay down the Mi’kmaq experience in Sikniktuk in a land-use study. As a PhD candidate, Patrick Augustine had studied the ancestral lands, combing through archives and treaties after a protest over lumber rights in central New Brunswick sparked his interest. Augustine would not release the land-use study for the title claim but spoke generally about what he heard from elders. “We interviewed band members about how they used the land in the traditional land of Sikniktuk,” said Augustine, the son of a Second World War veteran. Elders talked about fishing and harvesting along the rivers and coasts and about what they called Indian camps near St. Martins on the Bay of Fundy, Jones Lake, Indian Mountain, Painsec Junction in the Moncton area, and into Nova Scotia. Irishtown, also near Moncton, was a mainstay for Indigenous people, who used wood gathered nearby to build axe and pick handles. Augustine said he has traced old legislation designed to secure rights for settlers and squatters, without serving the Indigenous people whose land it was. Talk of Aboriginal title has been going on Augustine’s entire life, he said. Augustine and other community members hope title will be vindication for those in earlier days who were told they were breaking the law when they set foot off the reserve, exercising what they believed was a right. Kevin Augustine, a support worker in his 50s at Elsipogtog, thinks of people just within his own family who were punished: his stepfather, Peter John Levi, whose fishing gear was seized when he took it off the reserve; his brother John Levi, a warrior chief who encountered trouble trying to catch lobster off the reserve, and his father, Stephen Simon, whose rifle and gear were seized by the Department of Natural Resources. Augustine sees the land as a provider of food and the means to helping elders. 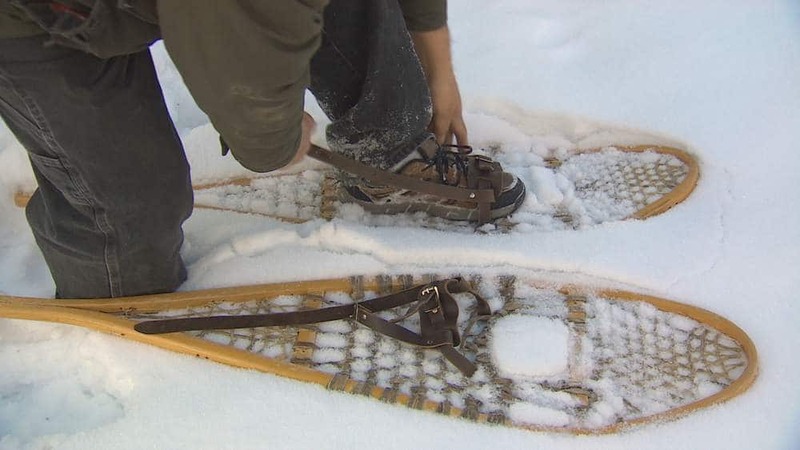 Strapping on snowshoes he made himself, he led visitors through knee-deep snow after rabbit prints. He snapped off frozen branches, made a forked end and thrust it through the ice-crusted snow to find a place sturdy enough to hold a trap. Augustine was taught by his own grandfather at the age of 11, when traps were set along Levi Street in Elsipogtog, now a populated part of the community. Ten to 15 per cent of the community still like to hunt and fish for part of their livelihood — and to provide for First Nation members in need. And there are quite a few of those. About 2,000 people live at Elsipogtog. With an unemployment rate of more than 30 per cent, the First Nation has struggled with addiction and poverty. 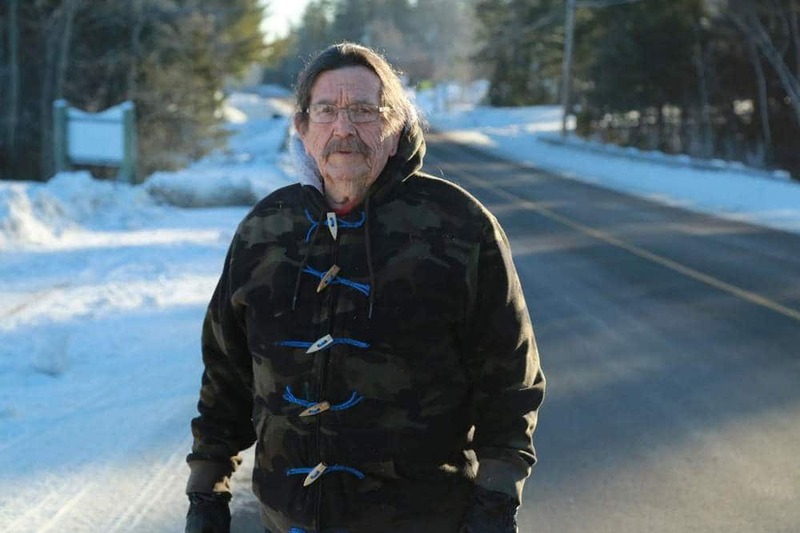 Augustine, who teaches his students how to handcraft snowshoes and toboggans, said Aboriginal title would let members of the community fish and hunt as they used to..
Oscar Baker III is a Mi’kmaw reporter from Elsipogtog First Nation. 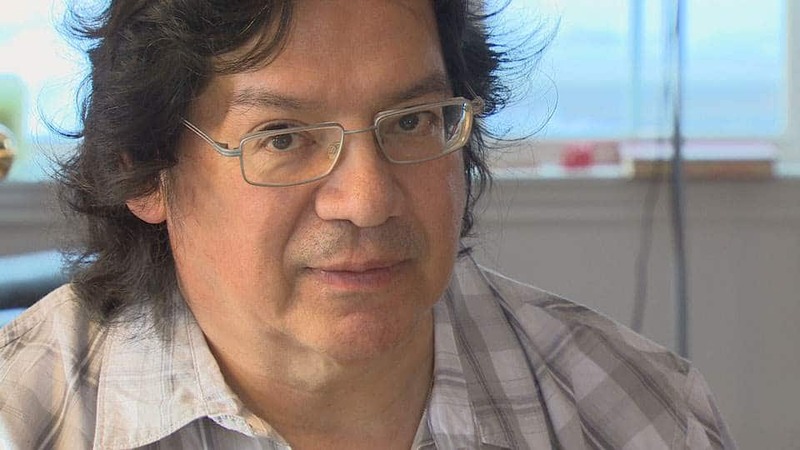 As he searched for what Aboriginal title would mean for his home community, some of the people he interviewed had family connections to him.